One of Russia’s leading ballet companies, The Russian State Ballet of Siberia is well-known for delivering beautiful and outstanding performances. Providing unique depth and quality, their performances have breath-taking physical ability. Both the corps de ballet and the soloists in these Russian ballet wonders are sure to enchant the entire family. Prices range from £22 to £46.50, with a special offer of £75 for two shows from The Russian State Ballet of Siberia). Call our box office now on 01253 290190 to book your tickets! Russian ballet was developed in the 18th century in St Petersburg as a “standard of physical comportment to be emulated and internalised as an idealised way of behaving”. Its purpose was the cultivate a brand-new Russian people and not to entertain. Empress Anna Ioannovna loved ostentatious amusements such as balls, appointing Jean-Baptiste Landé as a dancing master in 1734. Four years later, he became a ballet master and led the new ballet school that launched the advanced study of ballet in Russia. Eventually, ballet took a romantic feel, changing how ballerinas danced to provide a contrast between reality and dance, which translated to dancing on pointe. Ballet became more popular under the reign of Ekaterina II, or Catherine the Great, with Russian aristocrats taking part. She founded a famous orphanage, the Moscow Foundling Home, which educated children in ballet. In 1825, the existing ballet company took on the name of Bolshoi, which translates to “big” or “great”. This form of ballet different greatly from the one in St Petersburg, as it was less formal and based upon Russian legend. Paul I, before becoming emperor, danced in the emperor court events. When he became emperor, however, he ruled that male dancers were no longer allowed and that female dancers had to learn male roles. What Makes Russian Ballet So Great? Ivan Valberkh dominated the ballet scene in the 19th century, introducing a few Russian folk dance elements and other Russian elements into ballet. An exceedingly important influence in ballet in both Russian and worldwide, Marius Petipa was a ballet master in St Petersburg’s Imperial Theatres between 1871 and 1903. St Petersburg Imperial Ballet, or Kirov in modern times, became the best company in the world under his tutelage. Considered to be the most significant choreographer alongside being a ballet master, Petipa was responsible for more than 50 ballet performances. Of these performances, a wide range is still performed as they were choreographed centuries ago, such as Don Quixote, The Pharaoh’s Daughter, Sleeping Beauty, and Les Saisons. 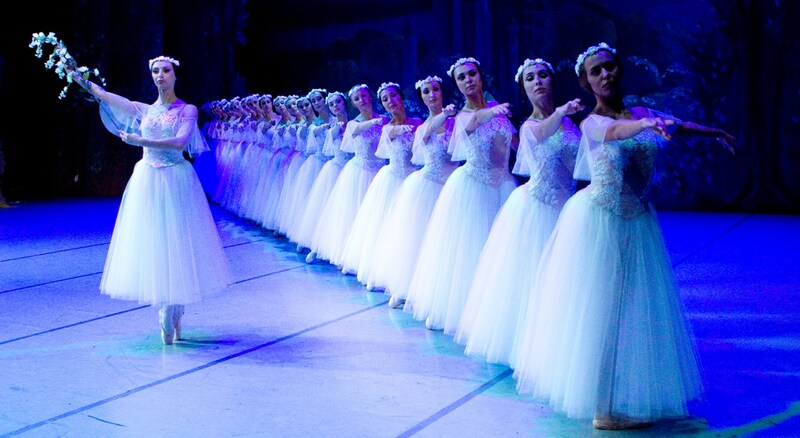 The Russian State Ballet of Siberia: Giselle. Courtesy of Raymond Gubbay. Russian ballet performances are said to have achieved such an acclaimed status by combining Russian folk-dance and classicism. It is this grounding in classicism that distinguishes ballet from other dance forms, remaining close to its roots even to this day. Russian ballet dancers are considered to be some of the best in the world, as they are proficient in both upper and lower body ballet movements. An added deliberateness to Russian choreography allows for audiences to admire every element. Additionally, Russian ballet dancers consider acting as part of ballet. They dance and train for hours on end, fighting through the pain to become the best ballerinas and ballerinos. The Cinderella ballet provides a combination of Prokofiev’s score, amazing costumes, and delightful choreography. Cinderella’s ill-mannered stepsisters and evil stepmother get ready to attend the Royal Ball, but Cinderella only dreams of dancing with the Prince. When her rags turn into a glittering gown and she attends the Ball, the Prince is forever smitten and embarks on a journey to find the one who lost her crystal slipper at midnight. Considered to be the greatest romantic ballet, Swan Lake is brought to life by The Russian State Ballet of Siberia with Tchaikovsky’s unforgettable and beautiful score. This tragic tale of romance is a contradiction between Odette, the pure Swan Queen and Odile, the temptress in a black tutu. This dual role of Odette and Odile is a stunning technical challenge you can’t miss. Swan Lake was first danced on 4th March 1877 at the Bolshoi Theatre to much negative criticism, including Tchaikovsky score that is now considered a masterpiece. A popular ballet around Christmas, The Nutcracker is the most famous fantasy ballet. It had its debut in St Petersburg at the Imperial Mariinsky Theatre, on 18th December 1892. It was adapted from The Nutcracker and The Mouse King, a Prussian story, accompanied by Tchaikovsky’s last opera, Iolanta. Similarly to Swan Lake, it wasn’t greatly received. Perfect for the entire family, The Nutcracker story starts on Christmas Eve as night falls. When the clock strikes midnight, toy dolls come alive in a fairy-tale world where nothing is as it seems. Join us as the Nutcracker Prince fights with the Mouse King and his mouse army through the Land of Snow and beyond. 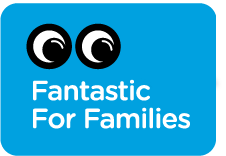 These shows are Fantastic for Families! The Russian State Ballet of Siberia provides delightful and stunning performances every year. If you want to buy tickets for the 2019 UK tour, make sure to contact us on 01253 290190. You can also email us on box@blackpoolgrand.co.uk for more information.